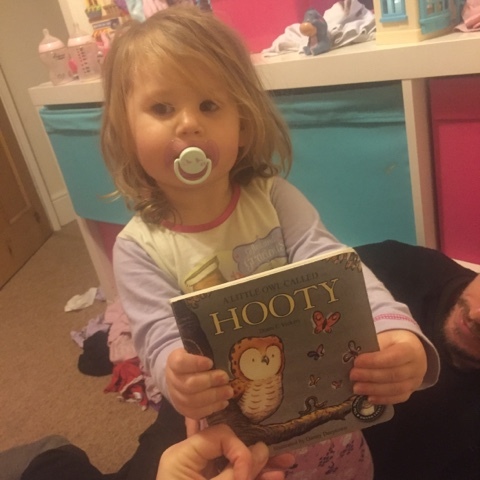 Perfect for a stocking filler this book is not only a cute story for the perfect little person in for life but great for small hands. 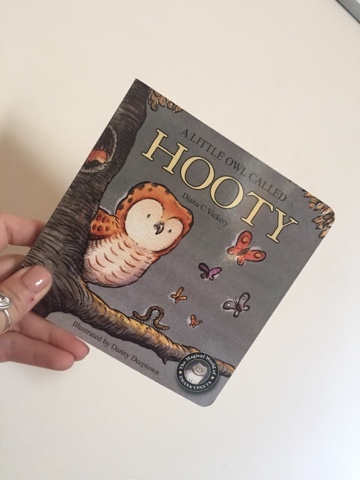 My daughter instantly fell in love with this easy to read & understand children's book which has a cute and loving story line. 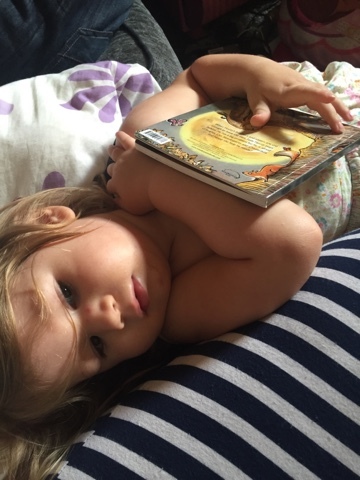 It is slightly rhymed as you read which keeps autumn all the more interested in the story because it's more like a mini poem or song to her. It's a hard wearing small book, wipe clean and fits in mums handbag... I should know the amount of times Autumn has popped it into my bag (not hers might I add) for days out, short trips and mini car journeys. I don't want to give to much of the story away but little Hooty is the last left in his nest, all of his brothers and sisters have left and he is a little to scared of heights to take the plunge himself. He has some friends looking out for him though so don't worry. I am an absolute fan of fashion and fun and quirky styles so when I was given the chance to review a piece from Reem clothing and I jumped at it. They do awesome t-shirts for the man in your life, it's a pretty funky style tee for a man. 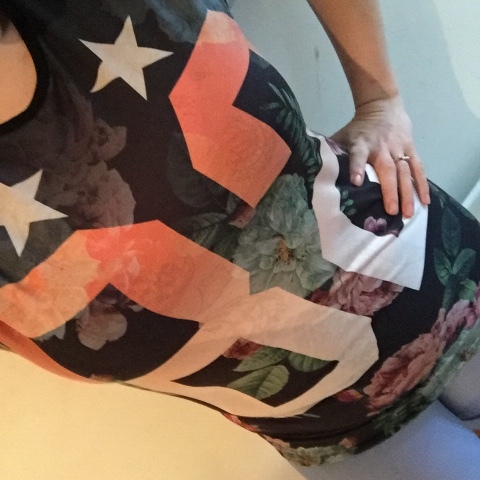 This on in particular is a floral and star design with a number logo. I know it's intended for men, however I would be more than happy to wear this tee. I love the colour combination and the material is super soft. Unfortunately my husband isn't very good behind the camera so I couldn't grab him for a photo. Reem clothing can be found at this link and their collection is absolutely HUGE, they offer accessories and some pretty big brands also. 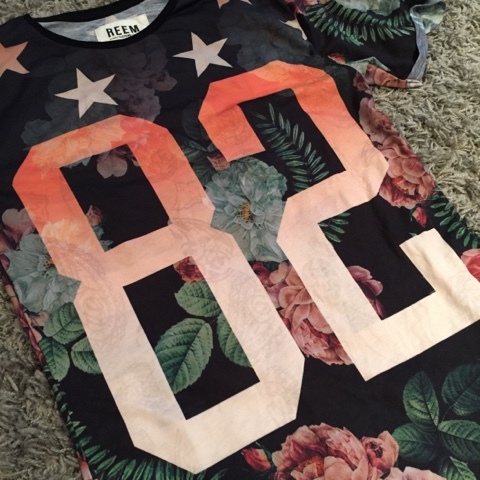 This tee is Reem's own brand and I think they have a great collection at competitive prices. Sometimes when tee's have a large amount of print on n them they can be pretty ridged. This isn't if feels great on and looks pretty cool on too. This can be classed as smart casual, and can be dressed up or down in relation to your event or day to day needs, perfect with black jeans for an evening event and smart boots, or with light wash denim jeans and smart trainers for an every day look. This is a slim fitted style with round neck and a short rolled sleeve. I love how the number is faded so you can still see the design behind them. Etail PR kindly allowed me to review this and I am so pleased they did, it is defiantly something new for my husband to wear and it is nothing like anything he already owns! The best part is I can borrow it too because I have some gorgeous wet look disco pants that would work well with this for an evening out with the girls. Don't forget Christmas is coming soon, so head on over to Reem clothing's website and check out some amazing items you can buy for your man in your life. 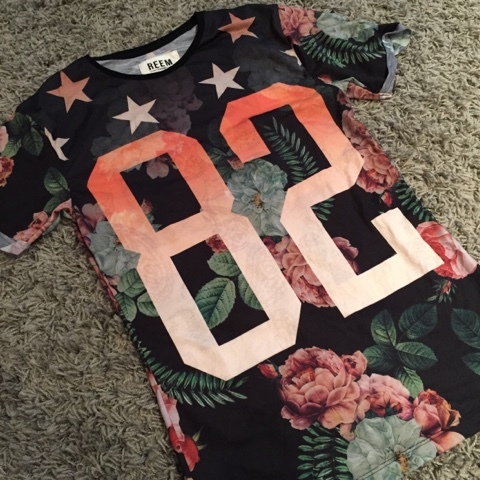 So what do you think about this pretty cool Tee?